Buy Brother DCP-L2520D Multi-Function Monochrome Laser Printer with Auto-Duplex Printing @ 21% Discount. Help improve your productivity with print speeds of up to 30ppm. With a print resolution up to 2400 x 600 dpi, the DCP-L2520D produces professional output with crisp text and excellent graphics. 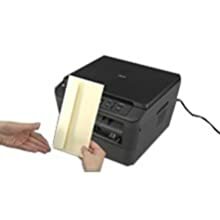 Features an adjustable, 250-sheet capacity paper tray for letter or legal size paper. The Brother laser product line consumables are designed with a toner separation. 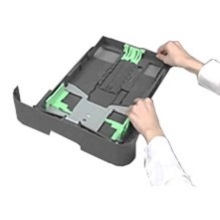 The consumable components consist of a drum unit and a toner cartridge. A 2,600-page toner and a 12,000-page long-life drum unit are included. 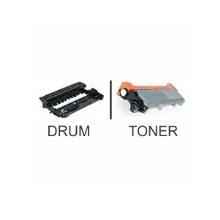 When the toner is used up, you only need to change the toner without replacing the drum. Meet your home or small office printing needs with our wide variety of reliable, ready-for-business laser printers. 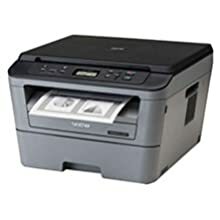 Best Cheap Deals For Brother Printer & Scanner, Grab Cheap Brother DCP-L2520D Multi-Function Monochrome Laser Printer with Auto-Duplex Printing Online.